This past Wrestlemania weekend, we came to Orlando and were made to feel incredibly welcome, not only by the travelling British fans, but by a whole load of North American (and beyond) fans who were experiencing what we do for the first time. We’ve been asked pretty much daily to come and do another show in the US ever since then… and we’ve listened. SATURDAY, 12TH AUGUST, we’ve teamed up once again with our friends at WWN for a double-header of shows at the ELMCOR CENTER, QUEENS, NEW YORK CITY. Progress will run at 8pm, and there will also be an Evolve show at 4pm in the same building. Tickets will be available soon from ticketfly.com – we’ll let you know when they are. 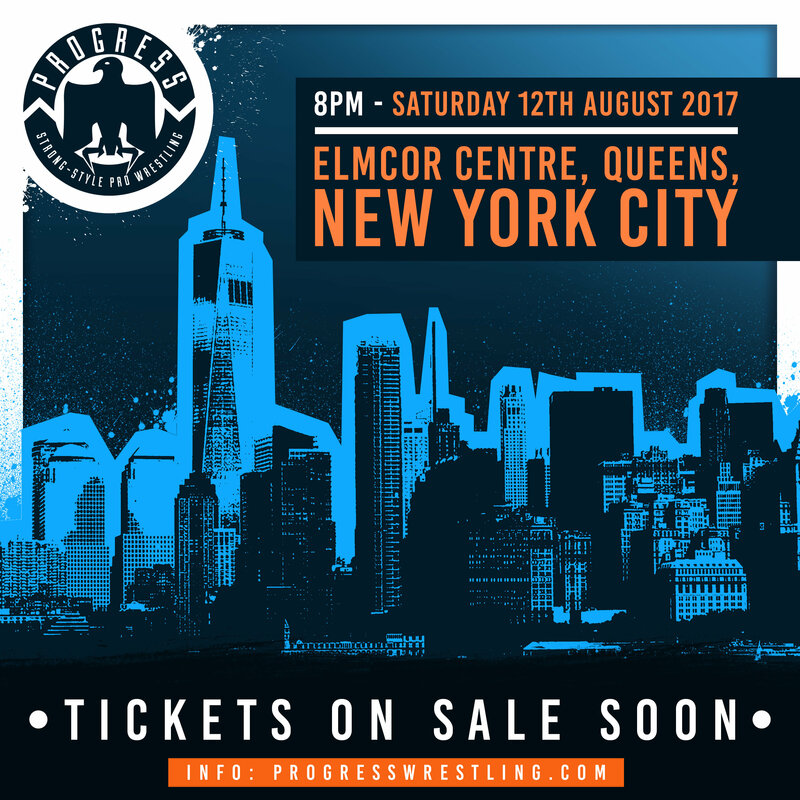 Obviously no word on a full card yet, but we can confirm that PROGRESS World Champion PETE DUNNE, as well as PROGRESS Tag Team Champions TYLER BATE and TRENT SEVEN will be there, as well as Progress regulars, some of our regular roster who are based in the US, and some wrestlers making their US debuts that day. And of course, the show will be available on Demand Progress a week or so after it happens. Exciting stuff. Hope you can join us for the show!